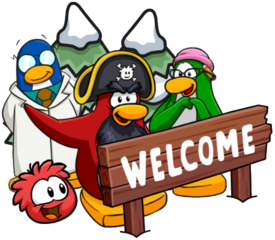 The Club Penguin Island team will be hosting a weekend event! Upon logging in, some party supplies and the much anticipated Duck Tube will be added to your account, though they are members items. 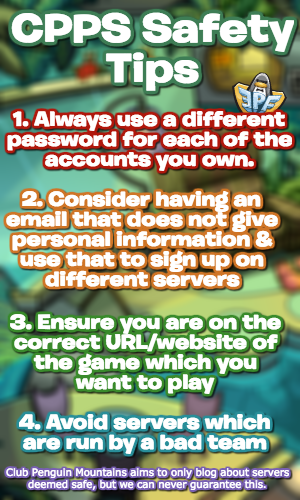 You do need to log on during the event however to obtain these items! To further celebrate the event, there will be a few meet-ups during the weekend with some staff members! Here’s what was posted. Friday, November 10th: Waddle over to Beacon Boardwalk for a game of Tilt-o-Tube! Saturday, November 11th: Jump off the waterfall together (in Duck Tubes, of course) and float around Coconut Cove. Sunday, November 12th: Meet at Mt. Blizzard for (Duck) Tube Racing! Be sure to log on to Club Penguin Island to obtain the Duck Tube which looks awesome, and was in fact inspired by a community request! Thank you for reading!